A look back at images from the visit of the Don Bosco relic to St Catherine's Salesian and Lay Community, Maynooth on 24-25th February 2013. A look back at images from the visit of the Don Bosco relic to St Agnes Church, Crumlin on 23rd & 24th February 2013 which included Mass celebrated by the Papal Nuncio. A video reflection which features the empty tomb of Easter morn with the angels standing by. On a visit to the Irish Province, Fr Klement, Councillor for Salesian Missions, shares some reflections about 'project Europe' which includes 5 Salesian missionaries in Ireland. Paddy O'Neill, Principal of Salesian College in Pallaskenry sings 'Here is a Man' by Salesian Fr Hugh O'Donnell with images from the Don Bosco relic pilgrimage around Ireland. Br Padraig McDonald shares his experience of bringing Don Bosco to his own home town of Ballinakill, Co. Laois. Fr John Butler gives a reflection at a gathering in St Catherine's Salesian and Lay Community in Maynooth as part of the Irish pilgrimage of the Don Bosco relic. The Relic of Don Bosco arrives to St Agnes Church, Crumlin where the welcome liturgy was led by the Papal Nuncio, Archbishop Charles Brown. See full details of pilgrimage. Fr Michael Casey, Salesian Provincal, shares his hopes for the Pilgrimage of the Relic of Don Bosco as it begins on 23rd February 2013. 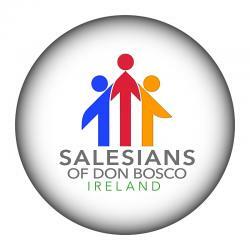 Fr Pat Hogan talks about his experience with Salesians, Salesian Spirituality and work in Ireland, and expresses his excitement around the visit of Don Bosco's Relic to his Parish in Southill, Limerick. Fr Martin Loftus, Rector of the Salesian mother house in Ireland in Pallaskenry, invites everybody to join in for the visit of Don Bosco's Relic to Pallaskenry. A look at the print media campaign in preparation for the visit of Don Bosco's Relic to Ireland. See full details of the itinerary. Fr Val Collier, who works in the Don Bosco Dublin City Mission, extends an invitation for people to join in the visit of Don Bosco Relic to Ireland which starts on 23 Feb 2013. A short reality clip showing Fr Pat Egan collecting 14 roll-up banners that will form a mobile exhibition on Don Bosco whose relic visits Ireland 23 February to 7 March 2013. A 15 minute presentation of Saint John Bosco’s life. His relics will come to Ireland on the 23rd of February 2013. The relics will be brought to locations around the country until 7th March.